Stay Smart at the Holiday Inn Express Hotel in Owasso. Situated just outside of Tulsa, Oklahoma, our hotel's combination of modern convenience and affordable comfort welcomes you. With a surrounding area that offers countless hours of entertainment and professional opportunities, the hotel's Owasso, Oklahoma location off of Hwy 169 provides easy access to area venues. Corporate guests love the proximity to Tulsa, because our hotel's guests have the ability to work with major companies like Whirlpool and JPMorgan Chase, as well as the University of Tulsa. Our on-site business center provides fax and copy services, and the flexible meeting space makes it simple to conduct business without ever leaving the hotel's property. Owasso, Oklahoma also offers plenty of fun for leisure travelers. The hotel is perfectly situated, making it easy to visit local favorites like Tulsa Zoo, Bailey Ranch Golf Club, Tulsa Raceway Park and Oklahoma Aquarium. For food lovers, there are many restaurants to be found within minutes of the hotel. 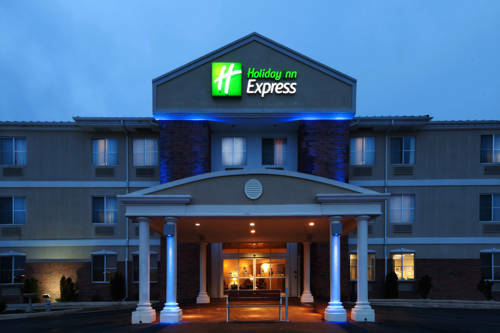 In addition to the great shopping, dining and entertainment offered in this area, the Holiday Inn Express Owasso hotel features first-class amenities that include free wireless Internet access, fitness center, signature triple-sheeted bedding and the free Express Start breakfast bar. All of these highlight our commitment to providing you with the best stay possible!